The distinctive Cobra Table Lamp designed by Greta M. Grossman in the 1950s is inspired by the shape of a cobras neck, which is also the motivation for the name of the lamp. 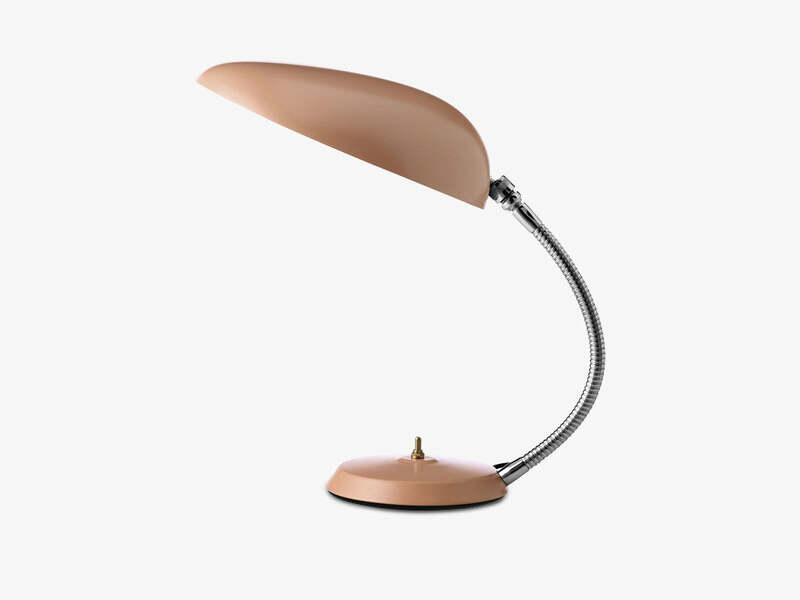 The groundbreaking design of the Cobra Table Lamp was the reason for it to both win the Good Design Award and end up at the Museum of Modern Art (MoMA). The Cobra Table Lamp is a classic yet unique lamp that with its tubular flexible arm can be bent in all directions, allowing the shade to be rotated through 360º. This creates a wide range of lighting options, whether you prefer a great light for the work desk or a more soft light for the corner of your living room.